Technology is making it easier for planners to communicate with meeting and convention attendees in their hotel rooms. Here are two systems that use different equipment—one the television, the other a freestanding computer—but allow planners to both keep attendees up-to-date and also generate revenue by selling ads to exhibitors and sponsors. Navigator operates on a freestanding 22-inch touch-screen monitor that turns itself on each day at 8 a.m. and goes dark at 11 p.m. (users can reactivate it manually). 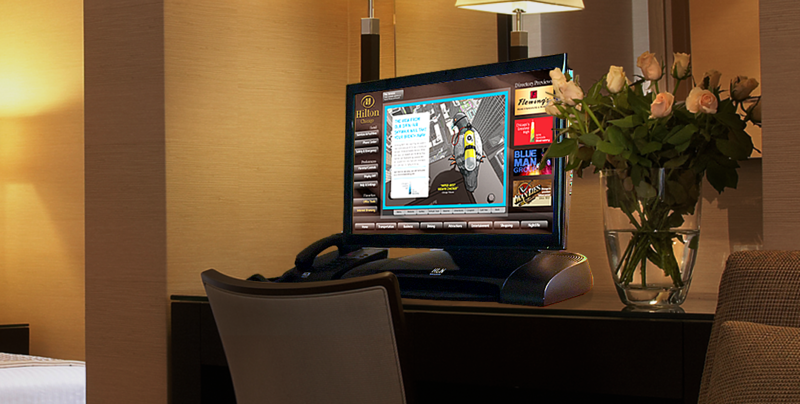 Similar to SmartEvent, the Navigator system is linked to an event’s room block, so a personalized welcome message and event information are on the screen when the guest arrives. Planners can set up the system so guests log in using the same identity used in the event registration process, which will sync the attendee’s personalized schedule, and other information such as announcements, maps, and exhibitors and sponsor information. The Navigator also provides a city guide to dining, shopping, and entertainment, and the ability to connect to those businesses using one click and the attached speakerphone. The system also includes Microsoft Word, Excel, and Powerpoint so that attendees who leave their laptops at home still have a full work station in the room. This fall the Navigator will add a social networking component that will allow convention attendees in different hotels to create chat rooms and interest groups. The company plans to begin installations in at least two more markets in 2013.